In case you've been struggling to find affordable & efficient handyman Mitcham, your search ends here! Do you want to fix that nasty leaking pipe under your kitchen? Are you tired of your creaky wood flooring? Don't worry! We are here to help you! Every handyman in Mitcham we hire is a proven specialist specialised in many different home improvement areas. All tradesmen have years of experience on the job and will save you both time and money by working as fast as they can. No matter if it is a small job or a huge home repair one, the employees in CR4 will take care of it in no time! Our rates are pretty reasonable taking into account the high-quality of services we offer. Benefit from reliable, local services. 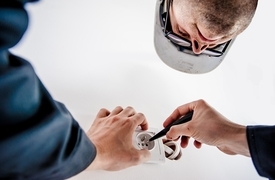 Every handyman Mitcham carries public liability insurance. No matter how odd a task may seem, don't hesitate to contact us immediately! Reliable Handymen The handymen have a lot of in-field experience. 24/7 Customer Care Service Our friendly representatives are always at your disposal. 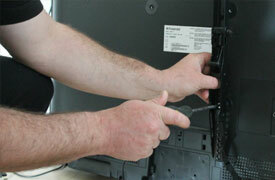 Make sure your TV will be installed safely on the wall! 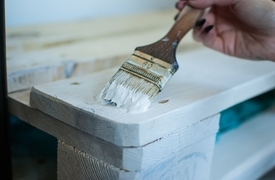 Hiring a professional painter to decorate your home or office is a great idea. Let us do the dirty job for you. 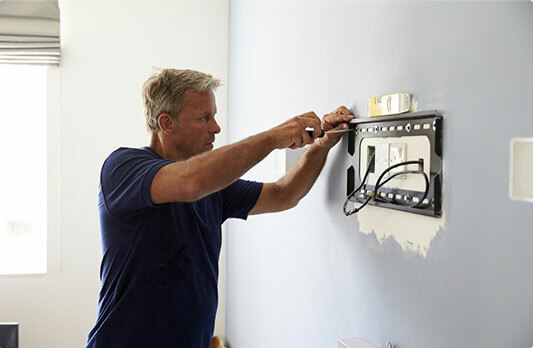 Hire us for all kinds of electrical issues. Assembling all furniture at home is not an easy task. Let the specialists deal with it for you.